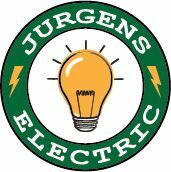 Friendly neighborhood master electrician and electrical contractor with over 25 years of experience. Licensed and insured. Prompt, professional, and efficient electrical service. Commercial, and residential. Low voltage lighting/Landscape lighting. Data and communication pre-wire. No job too big or too small. We value your time. Please contact for a free estimate. We offer a military and teacher discount.